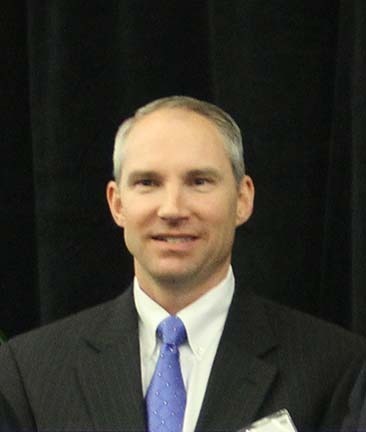 Rod Brenneman began his career at Seaboard Corporation in 1989. He has served the company in various financial management capacities, including director of tax and business development. He has also been involved in working on many of the company’s acquisitions and joint ventures. In 1994, Rod was named vice president – finance and administration of Seaboard Foods, and was instrumental in building this company from its start up to becoming one of the top hog production and pork processing companies in the United States. In 1996, he was named senior vice president, live production for Seaboard Foods where he was in charge of all of the live production operations for the company. Rod was named to his current position as president and chief executive officer of Seaboard Foods in 2001. Rod has had a great influence on Oklahoma’s pork industry. He was instrumental in the development of Seaboard Foods pork operations in Oklahoma with land acquisitions and company expansion. Rod is also supportive of and has provided great leadership and vision for OPC. He served on the search committee for a new OPC executive director in 1999. Rod leads Seaboard Foods commitment to environmental stewardship in all their production practices. Their Wakefield production site near Turpin, Okla., was given the Oklahoma and National Environmental Steward Awards in 2007. Rod’s previous experience includes several years with Arthur Andersen. He is a CPA and graduated from Wichita State University. Rod resides in Overland Park, Kan., with his wife Shelley. They have two children, Lindsey and Tyler. It is with great pride and appreciation that the Oklahoma Pork Council inducts Rod K. Brenneman into the Hall of Fame.